These are some of the service you are going to Experience when you choose us. Camel Safaris, tours, trekking, walking nature trails, mountaineering, historical sites, cycling, mountain bike, hiking, Canoeing, Crafts visits, Dhow trips, Dolphin viewing, Farm visits, Fish farms ,Guided tours ,Snorkeling ,Spice tours ,Sport fishing, Walking Safaris ,Museums ,Bird watchers ,Butterflies. Waterfalls are another important fascinating and stunning areas to visit. Most natural waterfalls are found in the natural forests and other natural areas. Natural waterfalls tours goes along with bird watching, ecotourism and walking safaris. – Coast beaches & activities ventures. 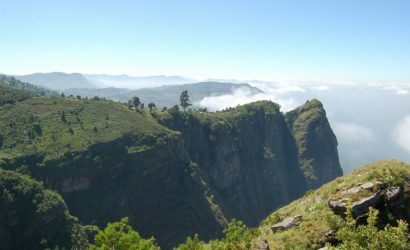 Amani nature reserve is a part of east Usambara mountain ranges composed of ancient crystalline rocks, which are said to be very old. The high degree of its resource endemism and floristic diversity supports the theory of long time; altitude is 300m to 1130m. Boat excursions are done in Lake Manyara National park, Selous Game reserve and Lake Victoria, fishing and bird watching. Chimpanzees & Sitatunga in Rubondo Island, and Mahale Mts, National Parks. This can be best viewed best by walking safari option, Taking photos and films are other benefits. You can also here the voices of next kin to human being. days accompanied by armed ranger, porter, cook and our professional maasai guide and a donkey as a taxi to carry your staff, camping equipment, and food, walking into deep bush setting a camp each evening in a scenic spot and a meal prepaid by our cook under campfire. Places for walking safaris Selous game reserve, Arusha Park and Ngorongoro highlands. Oldoinyo Lengai is also known as Mountain of God by Maasai people who live at slopes of Mount Oldonyo Lengai.Climbing mount Oldonyo lengai will show you active volcano with sodium carbonate ashes. You can book adventure tour including walking safaris and will take you to Lake Natron to view the flamingo breeding centre as well as taking you to the summit of this amazing volcano. This trip is 4 days long and is perfect to take either before or after a Kilimanjaro Climbing. The Ngorongoro Crater Trek. Trekking in Ngorongoro Highlands like Olmoti Crater and Munge Forest. Also you can do walking safaris and nature trekking to Empakai Crater and see natural waterfalls. Also you can do walking safaris and climbing oldonyo lengai for 4 days. Cultural tourism involves insight into the modern and traditional life of people, at home at works, at play and at rest. We consider that it is very inviting to tour Ngorongoro, Serengeti, mikumi and Selous once one is in northern or southern Tanzania. 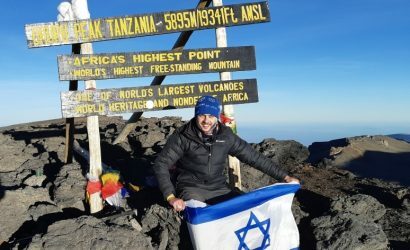 On request we can easily combine these cultural tours to a trip to the traditional tourist attractions of Lake Manyara Arusha, Tarangire and Serengeti National Parks and Ngorongoro crater, and also climbs to Mt Kilimanjaro and Mt Meru. ILKIDING’A, ILKUROT, LONGIDO, SAPUK, ENGARUKA, BUSHMEN (In Lake Eyasi-hadzabe,Datoga, Mang’ati), MTO WA MBU: Situated adjacent to Lake Manyara National Park. In Mto Wa Mbu is the only point in Africa where 4 languages meet; the Nilotes, Cush*tes, Bantu and Hamites a unique cultural feature in the World. A point in Tanzania where anthropology is most diverse. Visit to Maasai boma, dancing, market, schools and community project will be offered. Maasai village visit to foster the true experience of most complex cultural experience in Africa is a gift will be hard to forget in your entire life. Hike the rift valley wall and view the Lake Manyara. MONDULI JUU, NORTH PARES, MARANGU / MAMBA. Details are; Physical Requirements – Moderates walking for local culture experience, but many hikes are quite strenuous; some sites reachable by 4×4, and there are rewarding auto or foot tours to the plains. Food and Drink – Beverages and local food available in Usangi town; traditional meals can be arranged. What to be Bring – Hiking shoes, warm clothing. Accommodations – Guest houses ad rooms in privates homes, a school rest house; camping (bring your gear); day to trips from Moshi or Same. Getting There – 2 -3 hours by car from Moshi (4×4 during rains) via Mwanga on main Moshi / Dar es Salaam / Tanga road. Kigoma Hill top Hotel, Kigoma town, Ujiji, uvinza salt, exciting cultural tours in Kigoma. Kigoma Hill Top Hotel is a nice Hotel in Kigoma. Gombe stream National Park, Mahale mountains national Park, Gorilla tracking and chimpanzees walking safari in Gombe stream and Mahale national Parks. Uganda Gorilla tracking and chimpanzees walking safaris, Queen Elizabeth National Park, ruwenzori mountain National Park. The evocative mix of people and cultures in Tanzania creates a tapestry of memories that stays with the visitor for a lifetime. Since the dawn of mankind, when the savannahs of East and Southern Africa saw the birth of humanity, Tanzania has been a haven to countless peoples of many different origins. Tanzania ± history has been influenced by a procession of peoples, from the original Bantu settlers from South and West Africa to the Arabs from Shiraz in Persia and the Oman; from the Portuguese to the Germans and the British until finally, Tanzanians took control of their own destiny independency in 1961. Example; Hehe people of Iringa Region were very hostile to the German rule. Chief Mkwawa led his people in a war against German rule. Hehe tribe was very stronger so German soldiers used extra force to defeat hehe people. Hehe people were using spears, arrows, bows; but Chief Mkwawa had at least few guns. That is why they had a hope which gave them power. The war was fought for a long time until hehe people surrendered. At this moment, chief Mkwawa was not ready to be caught by Germans. He committed suicide. Also Germans shot him, cut his head and sent it to German Museum. In 1954 is when his skull was brought back to Tanzania. Now the skull is stored in a small Museum in Kalenga Area, Iringa Region. Many Germans and other tourists from Europe come to experience this unique history. A TOUCH OF AFRICAN MAGIC. Imagine a country that can fulfill every holiday dream you ever had. A country of wide open spaces and magnificent wildlife, of idyllic palm fringed islands set in turquoise seas, of pirate tales and sultans palaces, of smiling faces and warm hospitality. If you distilled everybody± quintessential dream of Africa into one country, Tanzania would be the result. It is an intensely sensual land, appealing to sight, sound, taste, touch and smell. Somehow everything seems to be bigger, wilder, more exotic and quite simply, more Spectacular in Tanzania. Tanzania enjoys the cultural heritage more than 120 tribes spiced with touches of Chinese, Persian and Arab influence from long ago traders. In Tanzania there are many tribes. But some of the Tourists (Europeans & Americans) culture and customs are imitated and adopted this Western culture. Most of which adopted are good. Now the Western and Local culture make up a mixture which is exciting. It is worthwhile to come and know which of your customs/traditions are adopted by most Africans!? Meanwhile you will be exploring cultural diversity of Tanzanians and East African at large. From Indian Ocean coast cultures to Western Tanzania tribes, From the Chagga people in the snow capped Mountain the Kilimanjaro to the Maasai tribe of the endless plains of Serengeti & Ã cradle of Mankind the Ngorongoro crater. Then from the large tribe Sukuma and Hayas living around Lake Victoria to the Southern Highlands mix of many small tribes. Then you will get opportunity to know the great war caves of the African warriors and their relative history. Around Mt. Kilimanjaro there are interesting and exciting water falls with azure blue waters. It is the area of relaxation, for swimming, taking photos and films; it has the atmosphere of tranquility and seclusion. Apart from seeing, we are great exporters of traditional and cultural souvenirs, makonde carvings, exclusive animal carvings, gold jewellery, gemstones, Tanzanite, antiques, fabrics, ebony carvings, and paintings e.t.c This service is free of charge- no commission for this service; then why not book with.